Now I know Milone hasn’t even been on the team for even a week so it’s pretty tough to justify this, but on the other hand, it’s not like there’s been a breakthrough player that’s been tearing the week up. I like Milone & always have, especially when he was on my fantasy teams in the past. Milone’s career record is 45-33 so winning games is not an abstract idea when he takes the bump. The stat that really stands out about Milone is his record at home, 22-12 which holds well for Milone now as Citi Field plays in the pitchers favor. 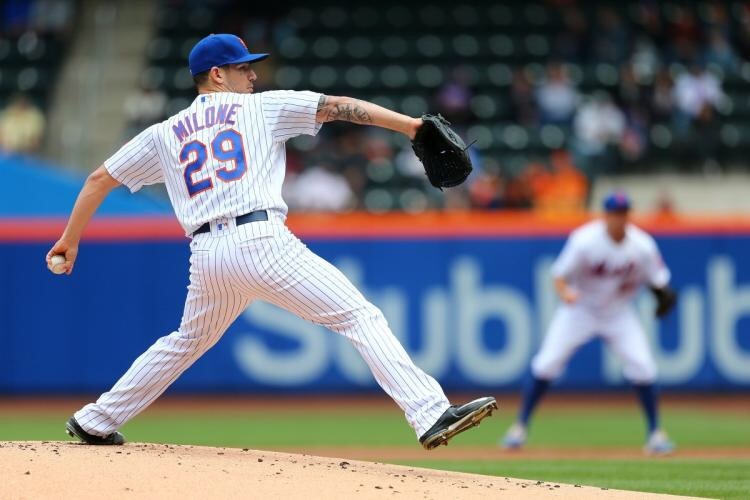 Milone was on the mound on May 10th against the San Francisco Giants in Citi Field & pitched five innings while giving up six hits & two earned runs. He also walked two & struck out five while picking up a no decision in the match up. While nothing stands out about that line against the Giants, it’s a performance I would take every five days, especially the way everyone is breaking down. So while Milone isn’t a grade A, high profile pick up for the Mets, he is a player that can provide stability in the rotation. If he continues the year in the rotation, I can see him going 13-10 with an ERA just under four. Milone also makes about $1.25M, so his acquisition shouldn’t keep the Mets from making another pick up during the season. Depending on where the Mets stand at the all-star break, they very well may be “buyers” at the trade deadline.